We’re proud to announce that Lane Baldwin is featured in the current issue of Blue Notes, the official newsletter for the Sacramento Blues Society. Recently, Lane came to the attention of Mari Lu Onweller, VP and Events Director for SacBlues. She was compelled to write the article after hearing Lane perform at the Powerhouse Pub, one of the top clubs in the area. The full text of the article is included below. 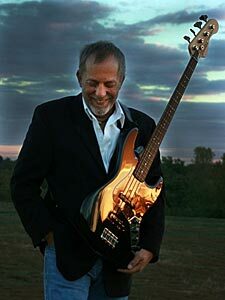 He’s a bassist, singer and songwriter. He’s a chef and a writer; a highly-regarded servant-leadership expert and an ordained minister (although he’s rather reserved on that subject), a Musical Ambassador for Washington DC and a philanthropist who has founded two charities and raised millions of dollars for various causes. More than anything however, Lane Baldwin is a champion of the Blues. 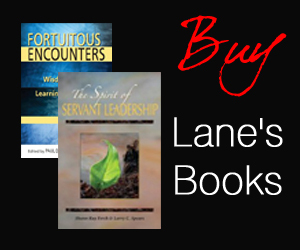 A Musical Ambassador for the Nation’s Capital and a gifted speaker and writer, Lane’s workshops are widely regarded as among the best in the industry. He also presents to students of all ages, promoting music as an important part of education and promoting the Blues as a thriving art form. His essays have been published in the best-selling Chicken Soup© series and elsewhere as he promotes positive living and the servant-leadership management philosophy. Lane has been working with some of the Sacramento areas top players and singers and has recently joined Pinkie Rideau and Blind Resistance as their bass player and front man for the first set. I attended their first gig together in June and was blown away! Pinkie stood back in awe as she watched Lane front the first set. She proudly said “That’s my band! Lane has un-leashed them!” Yes indeed Pinkie! Your band has been un-leashed! The Sacramento Blues community has been honored with the addition of Lane Baldwin. Thank you for choosing our town Lane! We look forward to the release of your latest CD “The View From Here” which has already being hailed as a major leap forward. Lane will be performing at the Powerhouse Pub on Saturday August 17, 3-6 PM. He will be resurrecting his Blues power trio from 2008 as they perform hits from the 2008 CD (hailed as some of the best Blues in decades and a top pick for 2008) – “Deeper Blues.” Lane also performs an intimate set at Famous Mo’s in Rocklin, on Thursday, August 29th at 7:30 pm.